Pack your bags. We have a big journey ahead of us. We are taking a road trip from Charlotte, North Carolina all the way to Las Vegas, Nevada. How you say? 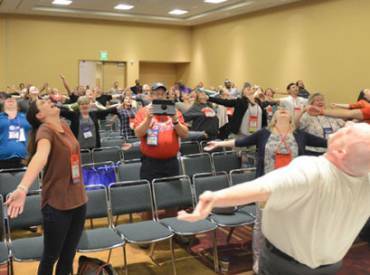 As we celebrate the momentous occasion of the 50th Anniversary of NRPA and the upcoming Annual Conference this September, the Young Professional Network has organized a virtual “road trip” out West, making “stops” at COAPRT accredited schools along the way. 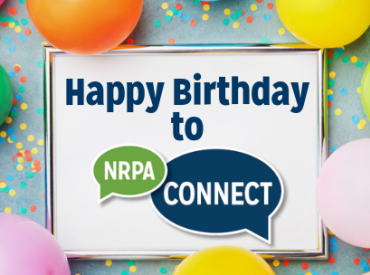 This blog series will showcase academic programs and share information about the outstanding students and what they are doing to take parks and recreation into the future and how they are shaping the next 50 years of NRPA. We’ll be documenting the tour here on Open Space throughout the next few months as we make our way to the much-anticipated Annual Conference. We hope that you enjoy this journey with us and we look forward to your thoughts and comments at our many stops along the way. Our first stop: Oxford, Mississippi, to check out Ole Miss’s Recreation Administration program! 1. They have a student-run organization called RAMMA. This organization is for the undergrads involved in the Recreation Administration program. This club learns about trends in the field, meets with professionals, encourages networking and strives to stay current on the happenings and events occurring in the department and in the University. Apart from monthly club meetings, RAMMA goes to sporting events and other recreational outings to see professionals in action and to, most importantly, have FUN! RAMMA is responsible for fundraising, advertising for the department and organizing the annual Spring Awards Banquet for the department every April. 2. The program encourages students to earn CEUs. The program values the notion that to stay current and remain relevant in the field you should continually earn CEUs. The program provides opportunities for students to earn these through volunteer experiences, earning relevant certifications, attending seminars, attending webinars, attending conferences and attending club meetings. The department is very proud of a newly created online hub – just finalized this past Fall – where students can easily navigate the CEU opportunities and identify what interests them. They are organized into seven categories and continually updated. 3. The department funds two unique scholarships. The Recreation Administration department of the University of Mississippi is very proud to offer two unique scholarships for outstanding students in the undergraduate program. The Lance Duvall scholarship is given once in the Fall and once in the Spring to two eligible and outstanding students in the department. This award is in commemoration of Lance Duvall, a 23-year-old graduate of the Parks and Recreation Management program who was killed in a tragic car accident in 2004. The Harvey Faust scholarship is offered to students who are in their final semester of course work before graduation. 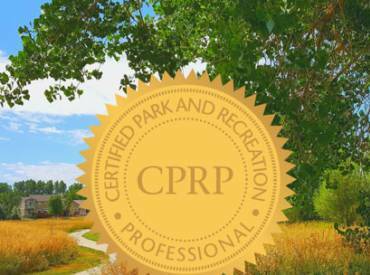 This scholarship will pay, in-full for five eligible students to take and earn their Certified Park and Recreation Professional Certification (CPRP). They must have a GPA of at least 2.75 and must have completed the majority of the Recreation Administration classes in order to be eligible. The University of Mississippi Recreation Administration program believes that their graduating students are more than qualified to thrive in the professional world and wants to do everything to help students succeed. By providing students with funding to take the CPRP exam, they believe they are setting students up for a bright future in the field. "I choose to study at Ole Miss because I have a passion both for the field of recreation and planning events. Ole Miss provided me the opportunity to study both in their Masters of Recreation Administration with Special Events option. I hope to merge the two passions by planning large recreational events, be it sporting, cultural or community events, after graduation." “Four years ago during my college search I discovered Ole Miss and the community of Oxford. I was immediately enamored of both and very excited to learn that the university offered a Park and Recreation Management program. Growing up I was a sports fanatic and I was looking for a way to incorporate my love of all things sports plus my personal focus on healthy living into a career. Recently, Park and Recreation Management at the University of Mississippi underwent a name change. It is now referred to as Recreation Administration and offers a Bachelor (BARA) and a Master of Arts (MARA) degree. The undergraduate degree program has been one of 80+ National Recreation and Park Association accredited programs since 2000. As students in the program, we are immersed in traditional classroom education and also service based learning approaches to prepare us for a variety of jobs in the recreation, leisure, tourism and sport settings. Additionally, we are required as part of our curriculum to retain a 400 hour internship within the field of Recreation Administration which ensures that we will enter the work force as competent recreation professionals. Stay tuned for the next stop on the NC2NV tour when we will be visiting the University of Missouri. Let us know what you think about the road trip in the comments below or tweet us @NRPA_News. CPRP — It’s All About Mindset and Attitude!